Concentrated formula, developed by the breeders of horses, moisturizes hair from root to tip, restores damaged hair, detangles and stimulates fast hair growth. The wax is saturated with panthenol, Biotin and protein, which promotes active feeding and growth of hair. 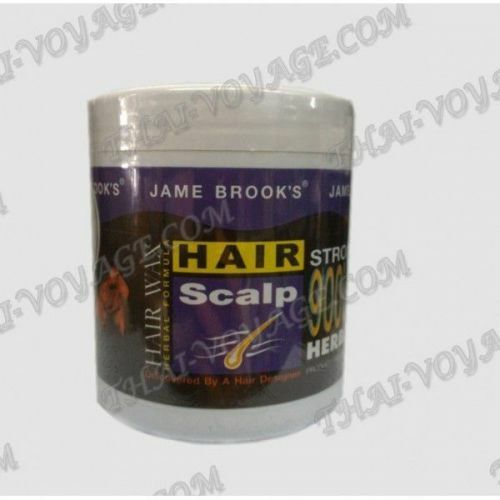 Helps repair damaged, colored and bleached hair. Protects from UV rays, sun and wind. Gives hair a mess, makes hair soft and manageable. Applications: after shampooing, apply a wax to the scalp with light massaging movements, leave on for 10-30 minutes. To enhance the effect, wrap your head with a towel. Then rinse with cool water.